If you ask Thurles [Map Ref.] people what is the oldest manufactured object in daily use in their area, they might not immediately think of the chalices in their local church. But this may well be so, and the story behind each chalice may be interesting in itself. 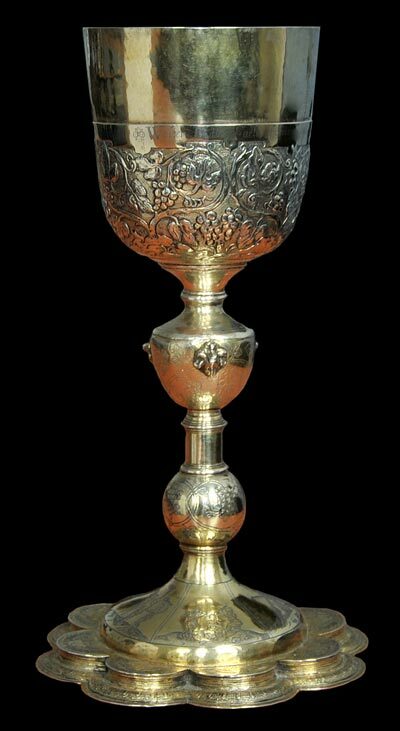 One of the earliest Thurles chalices is the Butler Chalice (Click the picture left, to see full resolution photograph) made in 1620 for Walter Butler the rightful 11th Earl of Ormond and his wife Ellane. The Ormond Butlers owned most of counties Kilkenny and Tipperary, including Thurles. In 1620, the year the chalice was made, the family was in deep trouble. The previous year their son, Thomas Butler, Viscount Thurles, who owned Thurles and lived in the Castle at the top of the Square, had been drowned off Skerries while going to England to answer charges of treason. Since 1617 Walter himself was in the notorious Fleet Prison in London for refusing to kowtow to King James I who had deprived him of the Ormond title and estates and given them to one of his cronies, Sir Richard Preston and his wife. Walter got out of jail only in 1625 when he got the title and part of the estates back from the next king, Charles I. The rest of the estates were only got back in 1629 and 1630 when Walter’s grandson, James Butler (later the Duke of Ormond) effectively bought the 14-year-old Preston heiress from her guardians and married her. Another Thurles chalice was made in 1780 by melting down two dilapidated chalices to create a new one. The inscription on the1780 chalice commemorates the donors of the previous chalices, one made in 1613 for William Roth, the other made in 1597 for Richard Barry and Joan Gogan. The original Latin inscriptions are given in the Visitation Book of 1759. Unfortunately we know nothing of these people, but they still deserve from us the prayers they asked for centuries ago. Another Thurles chalice, made in 1725, asks for prayers for Patrick Prendergast and his wife Maryann. These were not locals as the chalice was not originally in Thurles and was just bought at an auction. We do not know who the Prendergasts were, but the silversmith whose initials and hallmark are on the chalice has an interesting story. 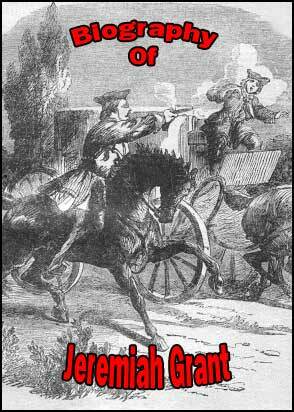 He was Richard Joyce who left Galway in 1675 to seek his fortune in the Americas. His ship was captured by pirates and he was sold as a slave in Algiers. When William of Orange took the throne of England in 1689 he sent around a few gunboats demanding the release of his subjects who had been enslaved. Richard had by then been trained as a silversmith by his owner, who valued him so much that wanted to keep him, and even offered him his daughter’s hand in marriage if he would stay. But Richard refused, returned home to Galway where he prospered and bought an estate in Rahoon from the proceeds of his silver-smithing and gold-smithing business. 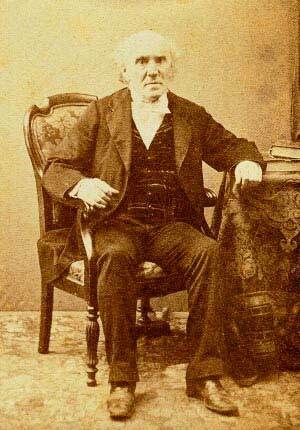 He is credited with inventing or at least popularising the Claddagh ring (Cladach is the Irish for seashore and is the name of a fishing village in Galway, quite near to Rahoon).